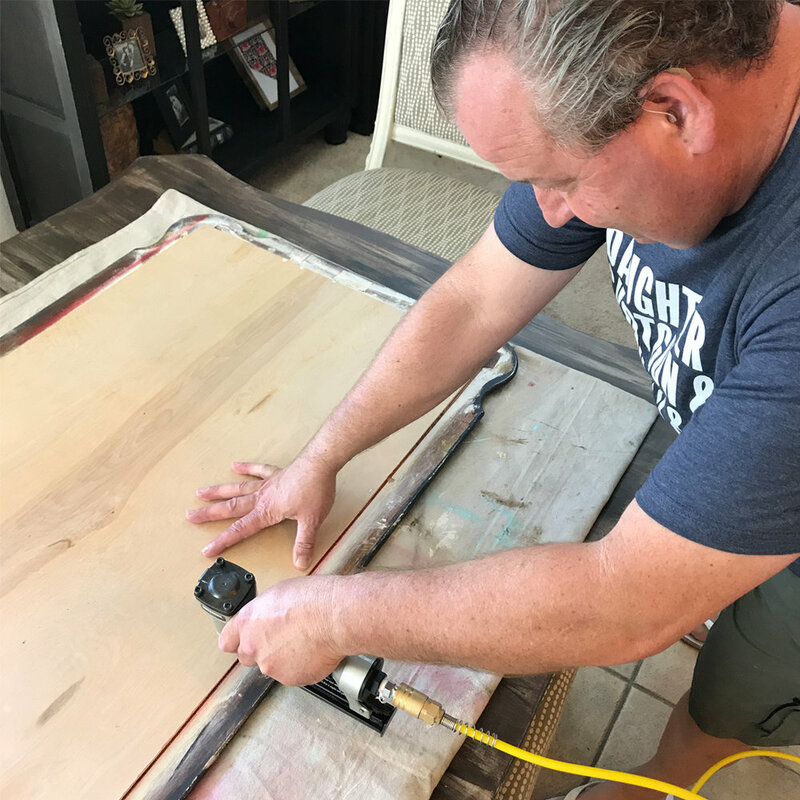 While Tommy cut the table apart, my husband cut a piece of thin wood (about 3/8” thick) that measured just bigger than the opening and just smaller than the table top. I made a stencil for the stars using my Silhouette Cameo. Instead of weeding the stars out, I removed the frame around the stars and used the actual starts as the stencil. 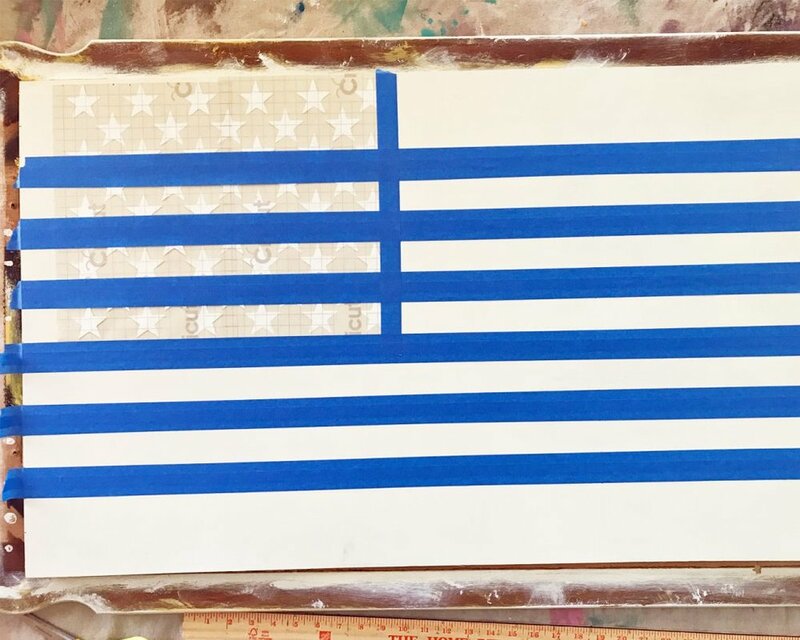 I placed the star stencil in the left corner of the painted board, then I created 13 stripes using blue painters tape. Note: The top and bottom stripes are bigger only because those parts will eventually be hidden behind the frame. This step is really important if you want perfect stripes. Since some paint always seems to seep under painters tape, you want it to be the base color that seeps. That way, when you paint the second color, it can’t seep under the tape very easily. 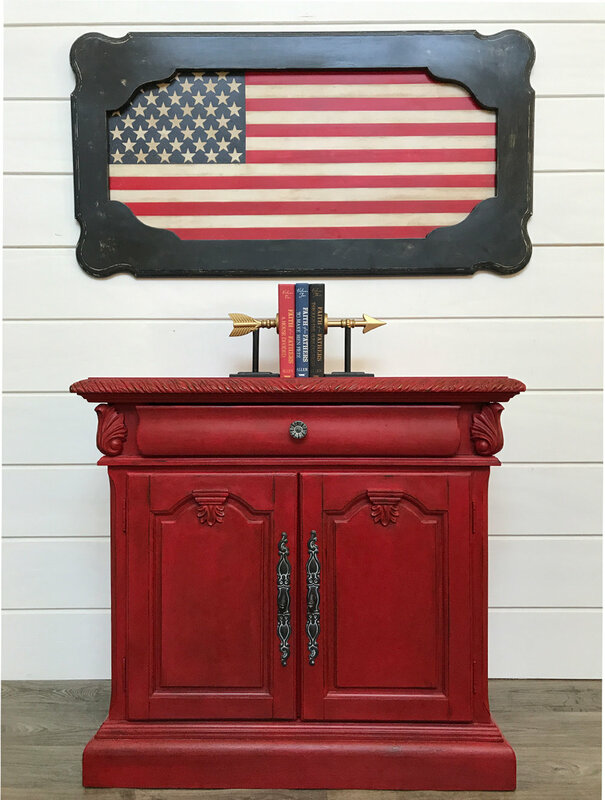 When stencilling, I use a fairly dry brush and a “stippling” motion (instead of typical brush strokes) as an added measure for keeping the top color from seeping under the stencil. *Remember the “peaks-and-valleys” white base coat? 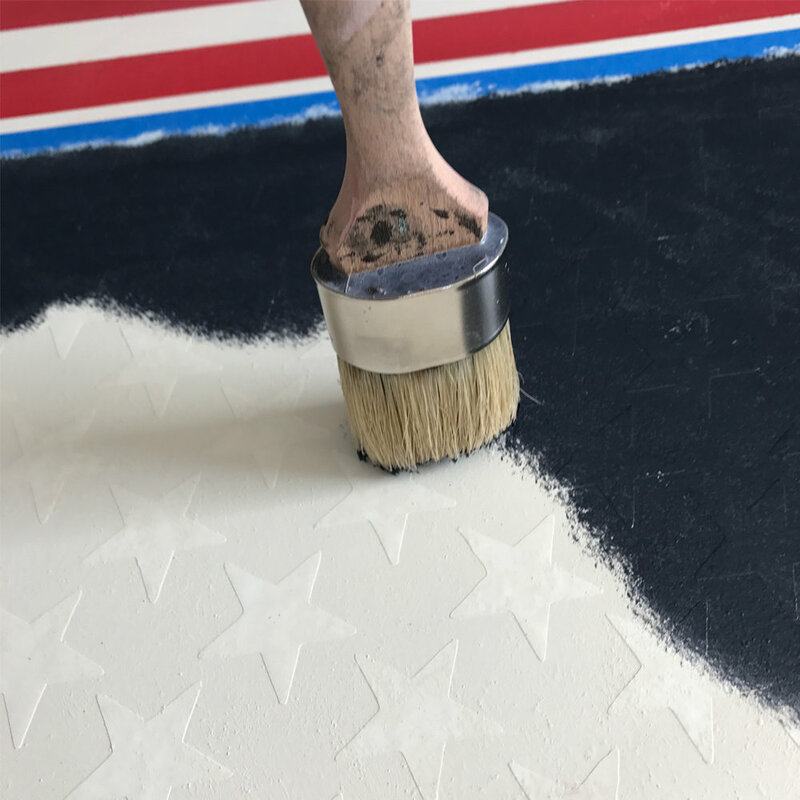 Once the navy was painted over the stars area, I sanded it. This allowed the peaks and valleys of the underlying white chalk paintto show through, giving it an awesome, aged texture, and I got exactly the results I was hoping for! Note: Before removing the stencil, I waxed the whole area with BB Frösch Clear Premium Finishing Wax. That's why it appears a little shiny in the photo. 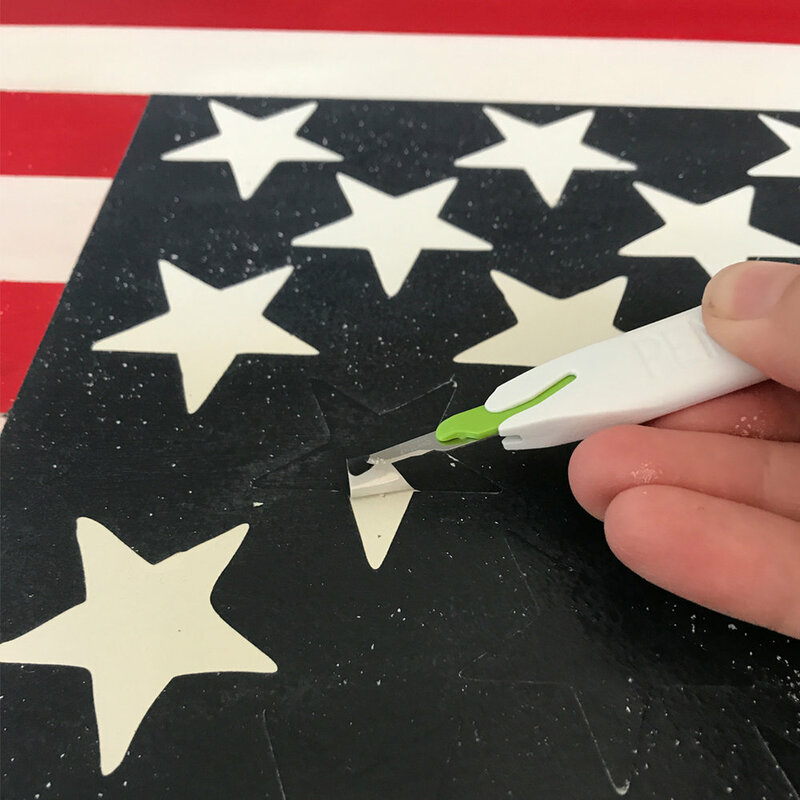 The clear wax helped seal the navy and kept it from accidentally dragging into the white stars. Note: It is not necessary to clear wax before dark waxing. However, I prefer some flexibility with my dark wax. Clear waxing first, or mixing clear wax with dark wax, allows me to “move” and adjust my dark wax a little. Also, clear waxing first allows me the option of “erasing” the dark wax later if I decide I don’t like it. 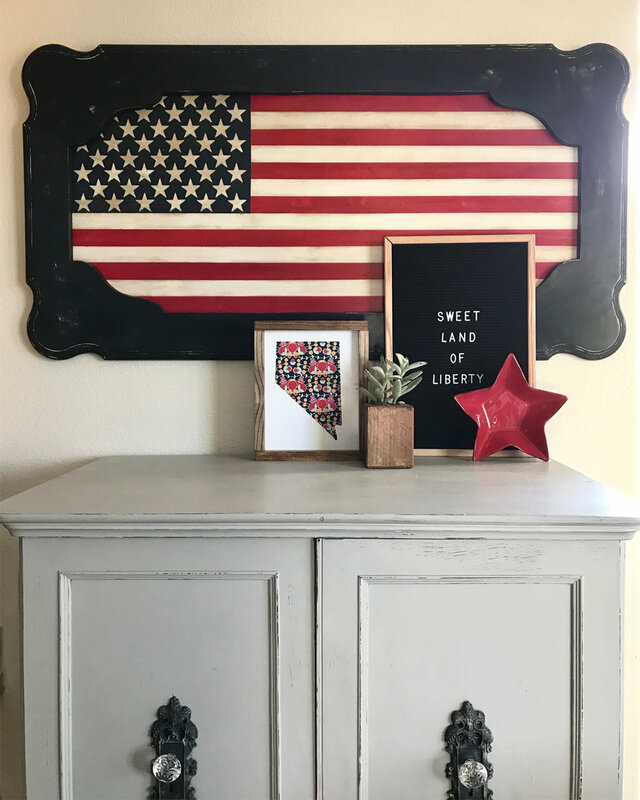 With my flag painted, distressed a little, and dark waxed, I was ready to add the whole reason I painted this flag…the coffee table top “frame”!